Today I am sharing a DT card I created using an absolutely adorable image by artist Sandra Caldwell. 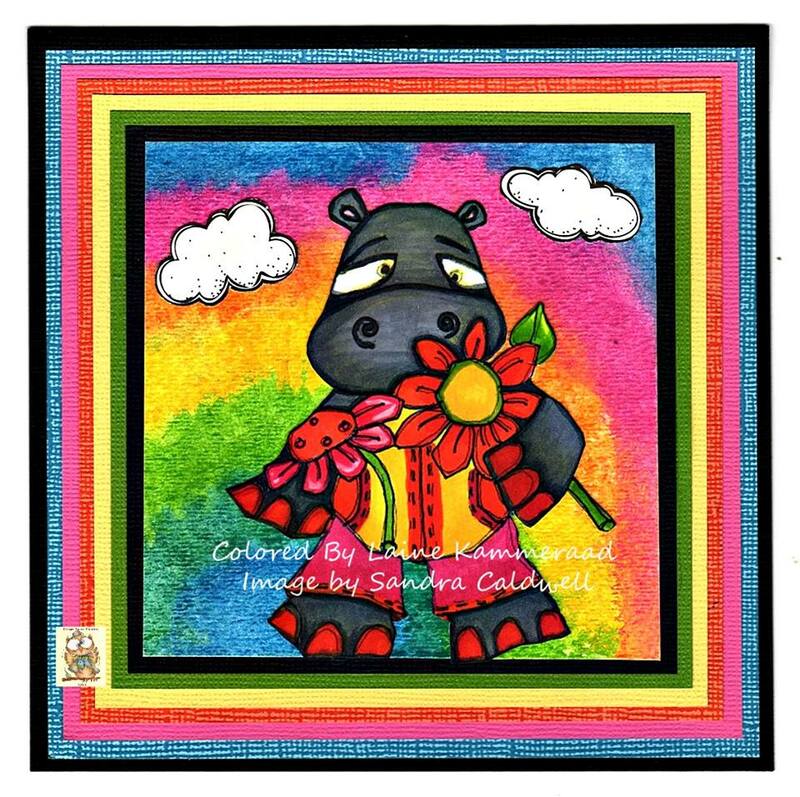 This image is called "Garden Hippo #783 and is available in Sandra's Etsy Shop. I absolutely love hippoes and this one just makes me smile. And this is just one of many adorable images created by Artist Sandra Caldwell. To create the background I used the new Distress Crayon's by Tim Holz. I love those crayons - they are so much fun to work with. I used Copics to color this adorable hippo. And since I love hippoes - this one just makes me smile every time I look at it. We would love it if you would join our FB group. We have a lot of fun with challenges, and giveaways and so much more. Thanks for stopping by and I always appreciate your sweet comments.